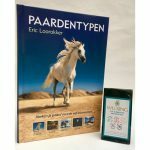 This book is the English translation of the Dutch book Paardentypen written by Holistic veterinarian Eric Laarakker. 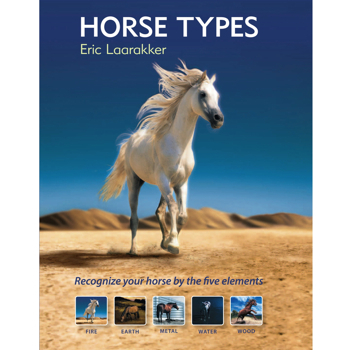 Recognize your horse according the five elements: Wood, Fire, Earth, Water and Metal. Recognize your horse according the five elements: Wood, Fire, Earth, Water and Metal. The type of element doesn’t only influence the character, but also the interaction, boarding, training, food and even has impact on the health of your horse. This will be explained in this easy written and beautiful illustrated book. A questionnaire is included to see what type of element you are and also what type your horse is. The knowledge of the five elements will support you to understand your horse better and to improve training and taking care of your horse. Brievenbuspost; mailbox delivery with no trace & track available (damage or lost package at own risk). Pakketpost; parcel service with track & trace code via TNT. Copyright © 2019 Den Hoek. All Rights Reserved.